Respighi’s Laud to the Nativity, as with many of Respighi’s works, is a composition deeply steeped in Italian imagery from the past. In this richly beautiful work, he renders the sentiment of the nativity story and conjures the historical eminence of the Roman Catholic Church in Italy by blending several musical styles from the past with modern sonorities that were contemporary to him in the twentieth century. Ottorino Respighi (1879 – 1936), influenced by the Impressionist movement in France, strove to create musical impressions by using the resources he had as a modern Italian composer. In his Laud to the Nativity, Respighi set out to elicit the mystery, the magnitude, and the ancient setting of his subject matter by borrowing musical ideas from the past. Italy, a country so rich in music and art history, afforded Respighi much with which to work. 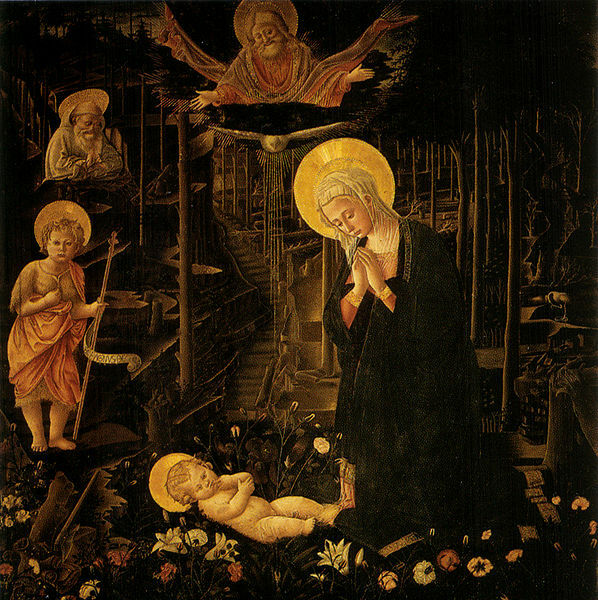 The piece sets a medieval Italian pastoral text written by Jacopone da Todi, a 13th-century Franciscan poet; accordingly, Respighi employed various archaic musical styles to evoke a bygone epoch and illuminate the text’s origins. As we do not have an existing record, other than written descriptions, of music from ancient times when the Nativity would have taken place, Respighi reached as far back as he could to adopt musical idioms that capture the feeling of a far distant past in Italy. A striking example of this is when the male voices in the chorus sing unaccompanied passages that mimic Roman Catholic plainchant of the middle ages; another clear example is a section in which the full chorus sings a highly syncopated melody (“Contenti ne andremo”) that is greatly influenced by Madrigals of the Renaissance. Heather MacLaughlin even suggests, in an interesting study of the piece, that the work’s length, unstaged dramatic narrative style, and alternation between solo and ensemble forces shows a strong resemblance to the mid-seventeenth century Italian oratorio. These instances of antiquated musical styles are the building blocks by which Respighi created a soundscape that conjures up images of Italy’s history – both religious and secular. They evoke a contemplation of an era when the Roman Catholic Church was supreme and had the wealth to bring forth important advancements in the arts, and a time when even secular life was closely tied to the Church and therefore the Nativity. In a way, it is as if Respighi was paying homage not just to the Nativity, but to the Roman Catholic Church and its rich history in Italy. By quoting musical styles which were predominant during the Catholic Church’s reign over Europe, he tipped his hat to his predecessors.